Conventions are normal, have happened nearly a dozen times in the Party’s history and are as grassroots as it gets: it engages the people who actually invest into the party base, reach out to voters, and they literally are us. Not the power brokers. You can read about the history HERE. What is the chance that there is a real effort to stop Trump at the convention? Trump now leads the delegate quest, having won victories in 14 states. But after last week’s voting across the south and the midwest, the odds of a contested convention are growing. Here’s why: Trump has secured about 450* of the delegates, (*results from Tuesday’s races are still coming in) 44 percent of those awarded thus far, but still just shy of 800 delegates away from 1,237. And his rivals, Texas Sen. Ted Cruz, Florida Sen. Marco Rubio, and Ohio Gov. John Kasich have just 345*, 152*, and 54* delegates respectively. Already more than 40% of the delegates to the convention have been awarded and for Trump to hit the magic number by the time the convention starts he’d have to win more than 50 percent of the remaining vote—an unlikely target with a divided field. Not to mention the fact that Trump is only now just facing eight figures of negative television spending and a coordinated establishment effort to provoke just this scenario. Also complicating matters for Trump: only nine states and territories are winner-take-all—and he may not win them. Can a delegate vote however they want? It depends. There are two types of delegates, bound and unbound. For the 2016 cycle, the RNC instituted a new rule requiring states that have ‘presidential preference votes’ like primaries and caucuses to bind their delegates in accordance with the outcome of the voting. This ensures that the will of the voters is heard through at least the first ballot. A bound delegate is a person whose vote will be counted for the candidate they are pledged to regardless of what they actually do at the convention. 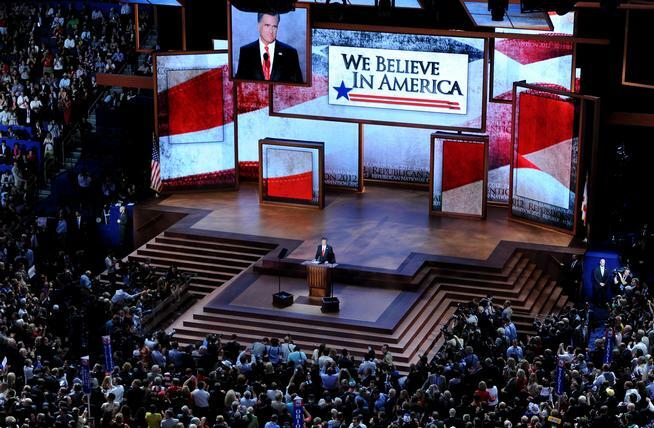 Unbound delegates may be pledged by personal statements or even state law, but according to RNC rules, may cast their vote for anyone at the convention. Additionally, a minority of the 168 members of the RNC is unbound by their state rules. Does Trump at least get to pick his own delegates? This is an important question. Under the rules, even delegates who are selected to support Trump on the first ballot can have allegiances to other candidates. And by-and-large Trump does not get to directly pick his own delegates. In caucus states, delegates are selected through multiple rounds of voting through precinct, county, congressional district, and statewide conventions. Many primary states utilize conventions to select delegates as well. State party committees have significant influence in that process, and in many cases give delegate slots to prominent Republicans and elected officials from their state. In a handful of states, including Illinois, Pennsylvania, and West Virginia, some or all delegates who self-report their preference are elected directly on primary ballots. So does that mean a bound Trump delegate might turn out to be loyal to Cruz, Kasich or Rubio on the second ballot? That is entirely possible. And this is where things get interesting. That’s so weird. Would the person with the most delegates going into the convention at least have control over how the convention is run? Not necessarily. Technically, the delegates decide how the voting will be done, and who will be eligible to be a nominee. But Trump delegates who are bound to vote for Trump on the first ballot will not be bound to support Trump in setting the rules. Once they are selected, delegates will gather to select a delegation chairman for each state and territory, as well as the District of Columbia. They will also appoint one man and one woman to serve on each of the four convention committees: Platform, Credentials, Rules and Order of Business, and Permanent Organization. These committees meet the week before the convention to ease the burden on the full body, and make recommendations to the convention that are taken up on the first day of the gathering. Why does the Rules Committee matter? What kind of rules could the Rules Committee make to shape the outcome? In 2012, the Rules Committee passed a Rule 40(b), which was explicitly designed to prevent Texas Rep. Ron Paul from having a shot at becoming the nominee on the floor of the convention. It required candidates for the nomination on the floor to have won a majority of eight delegations to be entered into nomination and have their delegates counted. The rule is still on the books, and could prove to be an obstacle for candidates like Kasich and Rubio. But the Rules Committee could also choose to throw out Rule 40(b) before the convention starts, or come up with new rules to shape the outcome. If Trump fails on the first ballot, who else is eligible to be the nominee? That partially depends on what the Rules Committee and the convention do. Any credible “white knight” candidate would have to meet whatever threshold is set. The first ballot is largely pro-forma. All 2,350+ pledged delegates will see their votes counted automatically on the first ballot. Unbound delegates will be able to choose whomever they want. As a practical matter, delegates are counted by state, with the delegation chairman reporting his or her state’s total for each nominated candidate to the full convention when the roll is called. So how does the voting work after the first ballot? Some states continue to bind delegates after the first ballot. Florida, for instance, binds its 99 delegates for 3 ballots. Others states release their delegate bindings only when a candidate releases his or her delegates publicly, or only if the candidate the delegates are pledged for performs below a certain threshold on the prior ballot. Once delegates are released, they can vote however they want for an eligible candidate for the nomination. How will they vote on the second ballot? That’s the million-dollar question that would determine the nominee. State party officials could select delegates with an eye toward a preferred candidate on the second ballot. Candidates and campaigns will also feverishly work the floor, having identified persuadable delegates in the weeks ahead of the convention. Campaigns are allocated a specific number of floor passes to the convention. which they will use to have aides and surrogates whip delegates in real time. How many ballots could it take to pick a nominee? As many as it takes. The only thing that will end the process is when 1,237 delegates unite behind one candidate. The REPUBLICAN NATIONAL COMMITTEE RULES as adopted in 2012 can be found HERE. A current delegate count and calculation based on how I researched polls and other indicators can be found HERE.